deeterflow® Liquid Dispensing Systems - Deeter Electronics, Inc. deeterflow® Liquid Dispensing Systems - Deeter Electronics, Inc. The deeterflow® Liquid Dispensing Systems deliver a measured volume of liquid at the request of a user, with great precision of ±1% of dispensed volume. 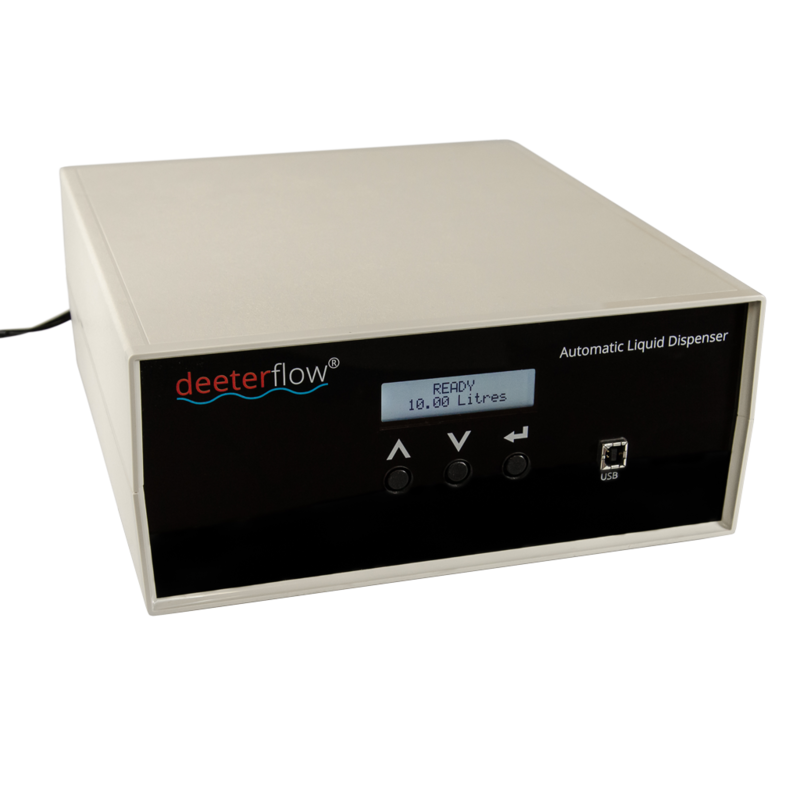 The deeterflow® Automatic Liquid Dispenser has an integrated pump to ensure measured volumes of liquid are delivered at the push of a button. Once calibrated and set up the user only has to select volume, press a button and the dispenser delivers the required volume with no further operation. Volumes between 0.20 litres and 100.00 litres can be selected in increments of 0.01 litres. The pump is self-priming and will provide a constant flow-rate, typically around 3L/min for water depending on the conditions such as the filter, tubing and the height differential between the pump and fluid outlet.the Automatic Liquid Dispenser, Liquid Dispenser and Low Volume Liquid Dispenser. The Liquid Volume Dispenser dispenses volumes between 0.10 litres and 100.00 litres and can be incremented in steps of 0.01 litres. 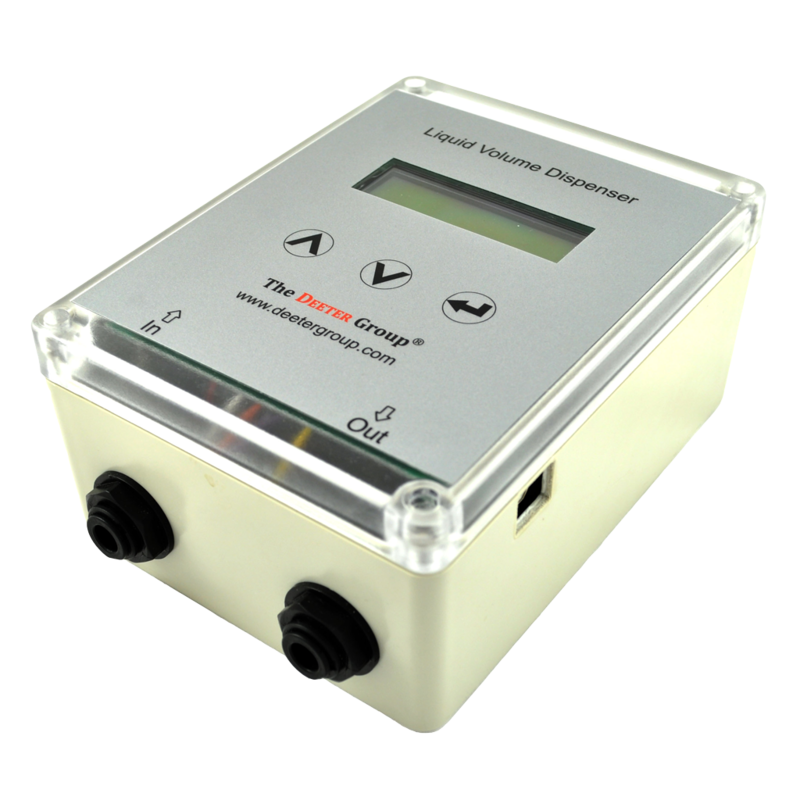 The Dispenser accurately measures volumes over a flow rate range of between 0.6 and 5 litres/minute.